Satellite imagery of deforestation in urban areas (Link to report) This page contains reports for major urban areas across the US. Satellite photos are inside individual reports. 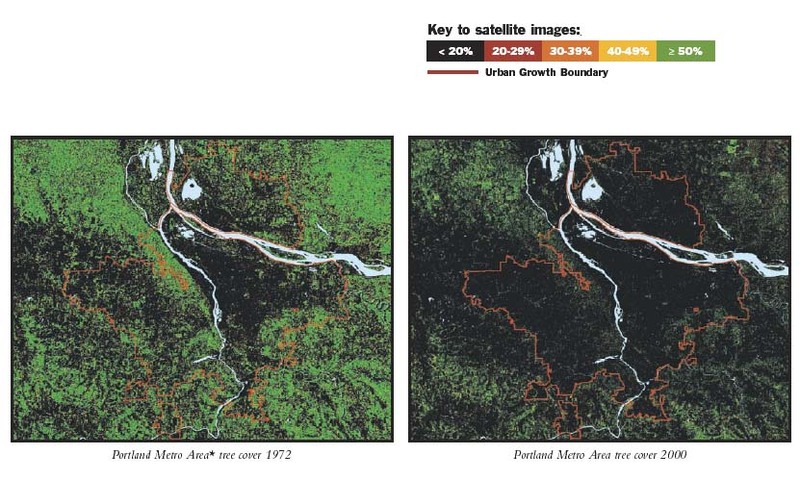 The image below, used with permission, shows deforestation in and around the Portland, Oregon metropolitan area between 1972 and 2000. This large-scale loss of forest contributes to global warming, sewage overflows into the Willamette River, and increased drought. (1) Pielke, Roger A. Sr , Gregg Marland, Richard A. Betts, Thomas N. Chase, Joseph L. Eastman, John O. Niles, Dev dutta S. Niyogi and Steven W. Running. "The influence of land-use change and landscape dynamics on the climate system: relevance to climate-change policy beyond the radiative effect of greenhouse gases." Phil. Trans. R. Soc. Lond.  A (2002): 360, pp. 1705-1719. Special thanks to Kirk Davies of Oregon State University, who provided information on this topic. Amphibian Ark: An organization working to save amphibians, especially frogs, from extinction through many causes including a fungal infection that is spreading worldwide. The Xerces Society: Smart people protecting pollinators and other invertebrates. Fine Print Imaging: If you want to make a beautiful fine-art print, this lab delivers. Nitroprint.com: Quality offset printing, quick turnaround, great value.